There are many reasons why you might want to consider going with our Scottsdale, AZ Interior and Exterior Painting services for your business property. 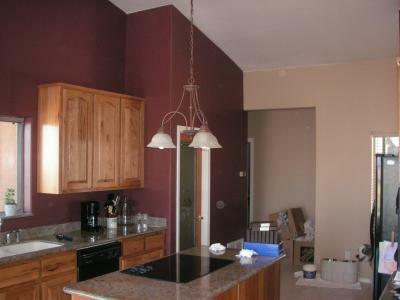 We have worked with a great deal of property types and we can handle any project or task that you might have regarding Scottsdale, AZ interior and exterior painting. Aside from basic painting services, we clean-up, offer maintenance suggestions and services, color suggestions, and more. When you want the number one in painting services, come to us with any of your needs and we would be happy to place them as a top priority. New paint can go a long way in boosting the value of your property. It is easy for paint to look chipped over time and faded, we can help with offering a quality paint job that helps to freshen up the place. We are respectful of the property and will work with minimal disruptions to your daily routines. You don't need to worry about us when we are there, we are efficient and respectful and will work quickly to see that we are done as soon as possible. We will not leave unless we are sure you are satisfied with the job we have performed. We are there to meet your needs in whatever way that we can, so don't be hesitant in being honest about what you are looking for with your painting needs. Whether you want to re-do the interior with new color, or refresh the outside look, we can help with both and much more. We have the tools and skills to get the job done right, so when you are interior color or exterior color, come to the painting professionals.